The Dzungarskiy Ala-Tau is a peculiar transition between Siberia and Average and Asian mountains. In the north also the steppe zone, in the south a steppe landscape prevails Siberian meadow. Mountains begin with the Middle Asia zone created on foothill and in mountain plains from 500 - 600 to 1200 high - 1400 m.
Here irrigation acreage and pastures are located. Vegetables, fruit trees, fodder herbs and grain crops are grown up. Above the steppe zone is located (from 1200 - 1400 to 1800 - 2000 m). There fir forests and a cedar grow. Here Red deer (Cervus elaphus), bears, roes live. Meadows are suitable for a cattle pasture. High mountains it is located in the north of higher than 2200 - 2400 m, in the south - it is higher than 2400 - 2500 m. There subalpine meadows, snow and glaciers meet. Shepherds use some territories of high mountains as a pasture. Wildlife of the Dzungarskiy Ala-Tau is in many respects similar to biocenosis of the Zailiysky ridge. Vertical distribution of soils, vegetation and animals here too changes on heights, with that difference, borders of vegetation are expressed more poorly, their extent is more. Extensive intermountain treeless valleys - syrt are widespread in Dzungarskiy that is unusual for mountains of Zailiysky Ala-Tau. The main forest breeds in the deciduous wood are the birch, an aspen, Sivers apple-tree, in the coniferous wood - Shrenk fir-tree and a fir Siberian. The fir Siberian has bigger distribution on the western part of the ridge where it grows with a fir-tree. Decrease by the East of planting of a fir. Harmonious form the fir Siberian reminds fir-tree krone, at a fir smooth gray bark, cones are formed on the ends of branches, are located vertically. Fir pitch is valuable raw materials for the optical industry, is applied to pasting of lenses. The wild woods of Dzungarskiy are important for the national economy. Ecological value and protective properties these woods - the fixed genetic assets for selection at removal of new cultivars of fruit-trees and bushes. So, using Nedzvetsky apple-tree - rare in Dzungarskiy, I. V. Michurin was succeeded to receive several new grades. Separate trees which fruits by the sizes do not concede to famous Aport occur among wild plantings. Fruits of crabs are intensively used in the industry for preparation of juice and curative apple cider vinegar. Many rare herbs, such as valerian grow in the Dzungarskiy Ala-Tau. Valuable herbs - a radio-gramophone pink and - places form the real natural plantations. The richest natural genetic fund of Dzungarskiy so far poorly studied, it should be protected and to protect carefully. 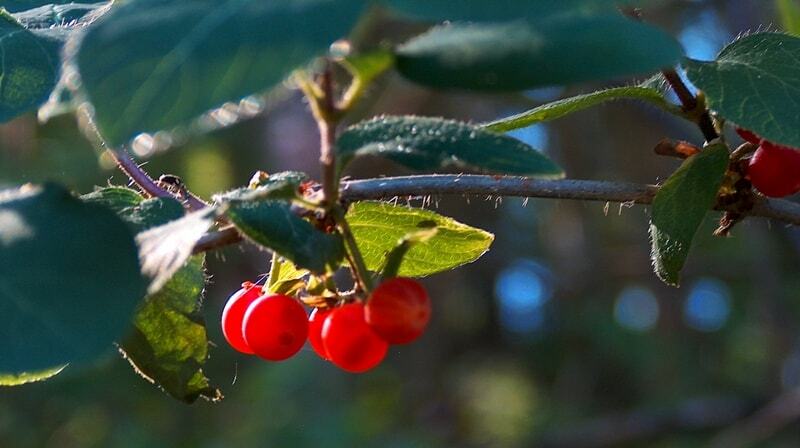 The accompanying breeds in the woods are several types of a hawthorn, a guelder-rose, a mountain ash, a bird cherry similar in Zailiysky of Ala-Tau. Different types of a dogrose and a honeysuckle, a meadowsweet, raspberry, currant and other bushes grow in the wood. To mountains of the Dzungarskiy Ala-Tau the Siberian fir, in Tien-Shan other look - Semenov fir is characteristic. Juniper thickets, characteristic of the Central Asian mountain systems, the Tien-Shan fir-tree (Shrenk fir-tree) are widespread in the Dzungariskiy Ala-Tau. S. P. Suslov (1954) noted quantitative prevalence in a vegetable cover of the Dzungarskiy Ala-Tau of the Siberian species of plants.